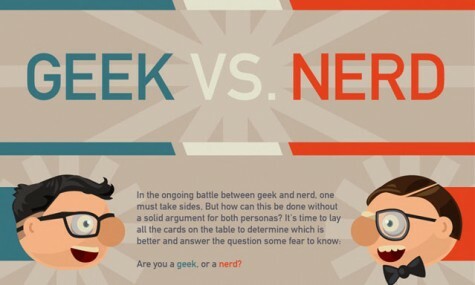 Too many people are still unsure of the differences between nerds and geeks. I believe I have a somewhat clear understanding of what sets the two apart. The video I am raving about this week is one that seems to help clear any confusions surrounding the topic. 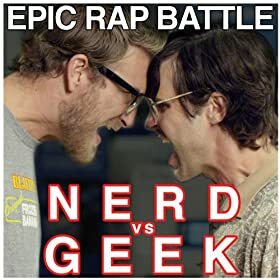 The video is “Epic Rap Battle: Nerd Vs Geek”. It was posted by Rhett & Link, the co-presenters of the YouTube show Good Mythical Morning. It hilariously places the two stereotyped labels against one another in rap form. This rap battle tops all other rap battles! Through the ridiculousness, we are able to see the characteristics of a geek and those of a nerd clearly. Rhett, who played the geek, claimed to have “brains and a personality”. Thus while the geek is intelligent, he/she is more at ease with social interactions and tends to relate with other people that are passionate about the same topics easily. This is not to say that they are exempt from social awkwardness. 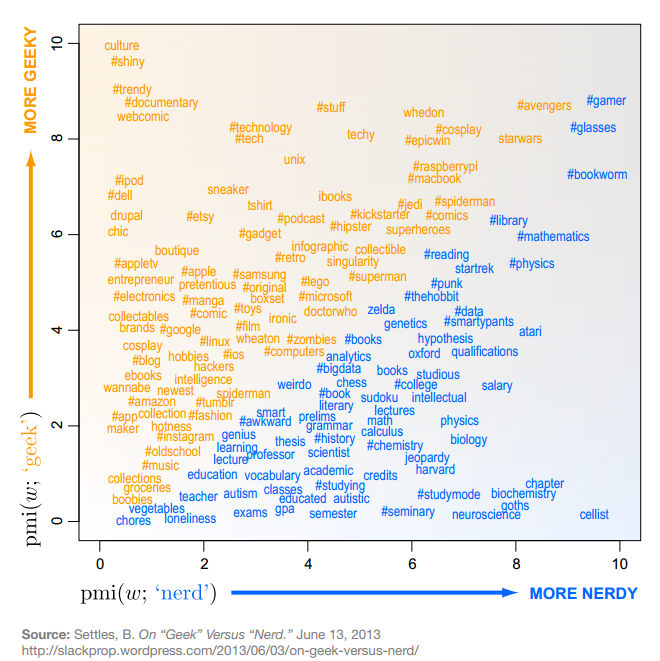 Are you a geek or a nerd? Geeks usually attach themselves to things like authors, television series, comics (for example), that they love and tend to obsess over them. For example, a geek may love a certain show, let’s say a show like “The Most Popular Girls in School” (a show that is exclusively on YouTube). The most awesome stop motion show ever! Now, a typical geek would subscribe to that channel, like every video, watch all the spin offs and behind the scenes, might even buy the merchandise such as t-shirts online, and generally freak out whenever they meet someone who shares their uncontainable love for MPGiS. When they talk about the show, it’s like there is nothing more amazing on the planet. They’ve probably saved multiple wallpapers on their laptop of the cast of MPGiS. They might’ve tweeted the creators, Mark Cope and Carlo Moss, repeatedly and screeched like a banshee when she finally got a retweet from them. This geek might be me. But that’s besides the point. Basically, geeks are more in tune with pop culture and revel in their niches within that culture. Nerds, on the other hand are the group of individuals of which society seems to have a clear understanding. They are immensely intelligent and, as Link says, “studious”. They are motivated by achieving goals that are more academically oriented. Nerds have a ceaseless hunger for gaining more knowledge and are typically apt at the sciences and math. Nerds are less socially comfortable and might spend their weekends playing Dungeons and Dragons. In fact, all I need to say is Sheldon Cooper and the term ‘nerd’ has been defined. Hopefully, that has cleared up the confusion. Rhett & Link even went into more detail about the distinct differences between Geekdom and Nerddom in their video “Nerd Vs Geek: How To Tell The Difference“. Be sure to watch it as well as the epic rap battle because, well, it’s epic.